Believe it or not: your website is your church’s most important marketing tool. Every single day people in your community are searching for a church. But instead of checking out your service, they’re first checking out your website. Your church’s website is the frontline for your entire ministry. It’s your most important marketing tool. It’s where first impressions are formed. It’s where you get discovered. It’s where new visitors are introduced to you. Sadly, most church websites make miserable first impressions. To make a point, my team and I conducted an extensive case study that analyzed more than 1,000+ church websites from 30+ different countries. All the results are documented below. Who are the churches in this case study? Compiling the data in this case study was no small undertaking. The study includes more than 1,000+ different churches randomly selected from more than 30 different countries. All fifty states from the U.S.A. are represented in this case study. All ten provinces from Canada are represented as well. The case study required a team of nine people to complete. 8.9% of churches in the study are from U.K.
How did you choose which churches to include? How did we choose which churches to include in our analysis? Answer: We tried to be as random as possible. By identifying churches for the case study in this way, we were able to randomize the selection process as much as possible. Most importantly, this process of selection allowed for us churches from a wide variety of demographics, regions, denominations, ethnicities, weekly attendance size, etc. Every church included in this case study was put through a simple & straightforward first impression test. The goal of this test was to answer a single question: Does this church’s website make a good first impression? Yes or no. The goal of this test was to answer a single question: Does a church website make a good first impression? Does this website have a primary focal point? Does this website load reasonably quickly? Does this website include stock photos of people’s faces? Does this website have easily accessible new visitor info? To successfully pass the first impression test, a church had to earn a passing grade for all five parts. The first impression test measures the baseline for what a church website should be. At the very minimum, your church’s website should meet the five criteria measured in the first impression test. Remember: Every single day people in your community are searching for a church. But instead of checking out your service, they’re first checking out your website. Decisions are being made about your church based entirely on your website. And once a poor first impression is made, it takes considerable effort to undo it. Church growth starts with a great first impression. Let’s get it right the first time. What kind of first impression is your church making? To the utter dismay and shock of my team and I, a whopping 96.2% of churches failed the first impression test. Of the 1,008 churches we tested: 970 failed. Only 38 passed. Upon seeing the results, the first thing I did was question the test. Was it too difficult? Was it too demanding? But as I dug into the data a bit more, I was shocked to find that – not only were churches failing the test – but it wasn’t even particularly close. Bottom line: 8 out of 10 church websites tested failed more than one part of the first impression test. Let’s take a look at each of the five parts of the first impression test. Of the 1,008 church websites we tested, 76.1% lacked a primary focal point. 231 church websites passed. 777 failed. What is a primary focal point anyway? Simply put, a primary focal point is the part of a website that you see first. It’s where your eye is drawn when you see a website for the very first time. Seriously though, who cares about primary focal points? Why did we include this as the first part of the first impression test? The key findings from Google’s study were that websites with low visual complexity were perceived as highly appealing. A study from Northumbria University revealed that the “feel” of a website is the main driver of first impressions.5 Moreover, of all the feedback given to the researchers in this study, 94% was about design (complex, busy layout, etc.) – only 6% of feedback was about actual content on the websites being analyzed. You don’t need award-winning, world class design to make a great first impression. Recall the study from Google: website designs with “low visual complexity” were found to be most appealing to users. The baseline for low visual complexity is a primary focal point. 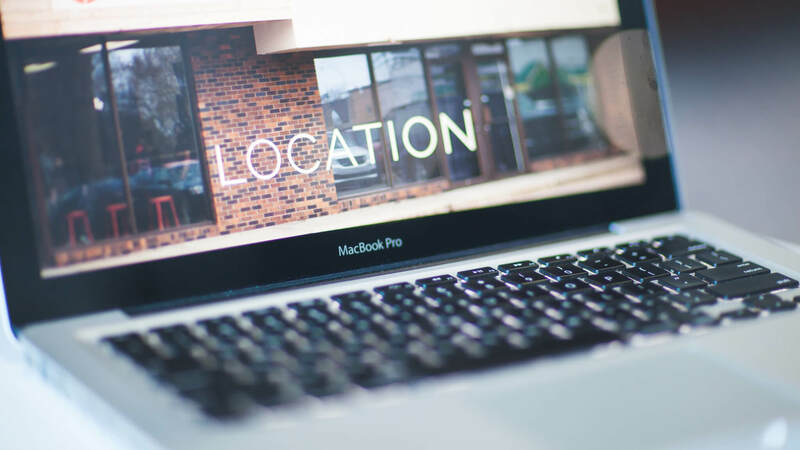 Without it, visitors to your website will become confused and are more likely to click away – this is also why you should never use a church website slider. This is why we’ve engineered every Nucleus to have a primary focal point – it’s built into the fabric of Nucleus. When a new visitor lands on a church’s Nucleus, their eyes are drawn immediately to the main headline and feature card – this is the primary focal point of every Nucleus. Of course, if you’re unsure of what a primary focal point actually is, below you’ll find two examples – one website with a primary focal point, and one without. Bottom line: Websites with low visual complexity make the best first impressions – a primary focal point is a must on every website homepage. Of the 1,008 church websites we tested, 40.2% lacked responsive design. 603 church websites passed. 405 failed. Since that announcement, the increase of mobile Internet browsing has only intensified. It means that if your church’s website isn’t responsive (meaning, it doesn’t adjust its size and structure based on the dimensions of the device it’s being viewed with), you’re creating a frustrating experience for the majority of the people visiting your site. Knowing that the majority of traffic to websites comes from mobile devices, we engineered Nucleus mobile first. Meaning, when we began imagining the platform, we first imagined what it could look like on a phone – before we ever imagined how it would look on a desktop computer. Bottom line: More than half of all Internet traffic comes from mobile devices. If your church’s website isn’t responsive, you’ll be surrendering the majority of potential traffic coming to your website. Of the 1,008 church websites we tested, 38.3% failed the speed test. 622 church websites passed. 386 failed. To properly measure the speed of a website, we used one of the industry-leading tools for measuring the performance of a website: Pingdom Website Speed Test. Performing the test is simple (you can test your own website right now): paste in your URL and click ‘Start Test’. To pass this part of the first impression test, your church’s website needed to earn a score of 80 or above (a letter grade of ‘B’ or higher). This score is measured according to Google’s PageSpeed performance grade. Read more about Google PageSpeed here. Why does this matter? Who cares how fast a website loads? 1 extra second in load time equates to twice as high a bounce rate. Simply put, the speed of your site directly affects how search engines like Google will rank your site in search. And if you want people to find your church when they’re searching online, you’ll want to show up as high in search ranking as possible. 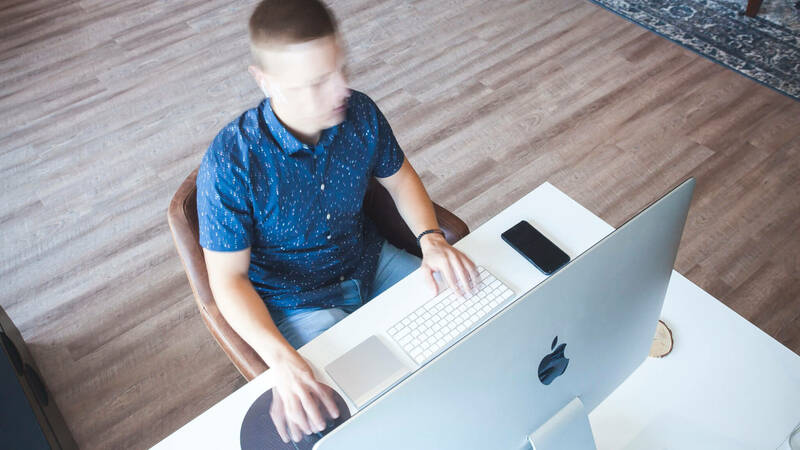 Bottom line: Page speed is critical to making a great first impression – and directly affects how your church’s website is ranked in search results. Of the 1,008 church websites we tested, 31.7% contained stock photos of people’s faces. 688 church websites passed. 320 failed. Photography is an amazing way to introduce your church to a potential new visitor and make a good first impression. On the other hand, using stock photos that include the faces of real people – real people that do not attend your church – is disingenuous and deceptive. After moving to a new city, you search online for a local restaurant that serves great hamburgers. You visit a restaurant’s website and immediately see a picture of a mouthwatering burger. “This is great – let’s go here!” you think to yourself. You get in your car, drive to the restaurant, and order the burger. But when your server presents you with the food that you’ve ordered, instead of seeing the mouthwatering burger you saw on the restaurant’s website, you see a flimsy mess. If this happened to you, how upset would you be? Not only was the photo on the website deceptive, but you got in your car, drove all the way to the restaurant, thought you were getting one thing but instead got something completely different. Do you see the parallel here? It’s deceptive and disingenuous to use stock photos on your church’s website – stock photos that include the faces of real people that don’t attend your church. With that being said, if you want to use stock photos of nature, architecture, hands, feet, Bibles, etc. – go for it! Just don’t use stock photos on your website of real people that don’t attend your church. Want to know the best part? Stock photography is completely unnecessary! You can shoot stunning photos of your church without a camera…for free! Here’s how. Bottom line: The use of stock photography on your website that includes real people – people that don’t attend your church – is disingenuous and deceptive. Don’t do it. Of the 1,008 church websites we tested, 61.7% did not have easily accessible new visitor information. 386 church websites passed. 622 failed. Imagine a new visitor walks into your church on a Sunday morning. But instead of being greeted and welcomed, no one acknowledges them at all. They step into an unfamiliar environment and are left to fend for themselves. If you’re a pastor or church leader, imagining a situation like this in your own church probably makes your heart sink. It takes considerable effort for a visitor to attend a church for the first time. And when they do, we want them to feel valued, welcomed, and comfortable. Sadly, most church websites do not function in the same way. As my team and I analyzed each of the church websites included in this case study, we each had a unique perspective. None of us had attended any of these churches before – we were being introduced to them for the first time through their websites. And while some church websites welcomed us with sections/buttons that said “Plan A Visit” or “I’m New” – most websites didn’t make any effort to acknowledge potential new visitors on their homepage. Attending a new church for the first time can be uncomfortable and unfamiliar. 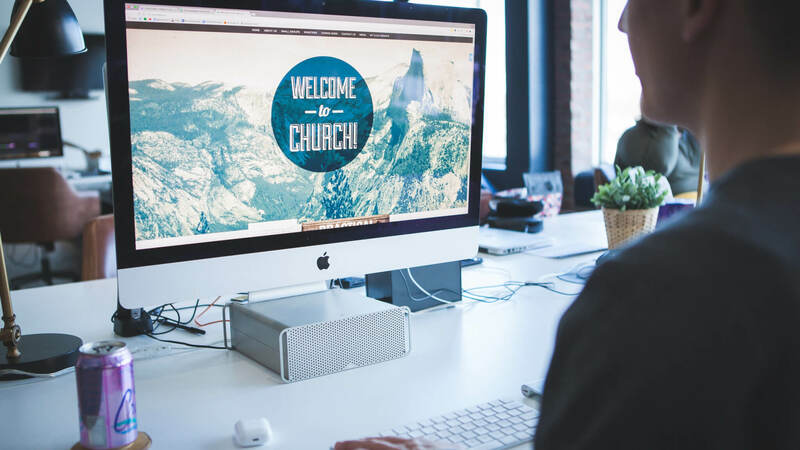 To make things easier, dedicate a portion of your church’s homepage (ideally, a very prominent portion) to acknowledging and welcoming potential new visitors. The Nucleus framework is engineered to do this exact thing. We recommend that each of our churches dedicate the first card on their website to welcoming new visitors. You can see this in action here. Bottom line: If a new visitor walked into your church on a Sunday morning and wasn’t welcomed or acknowledged, it would be disappointing. Similarly, make sure your website’s homepage has new visitor information readily available and easy to locate. Looking for an example? Here’s how we do it within Nucleus. First impressions are made online. Every day people in your community are searching for a church. But instead of checking out your service, they’re first checking out your website. 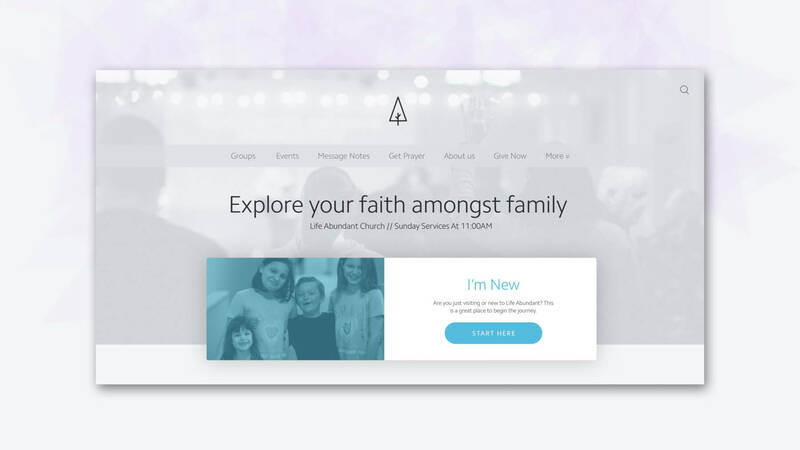 Sadly, 96% of church websites fail the first impression test. But it doesn’t have to be this way. 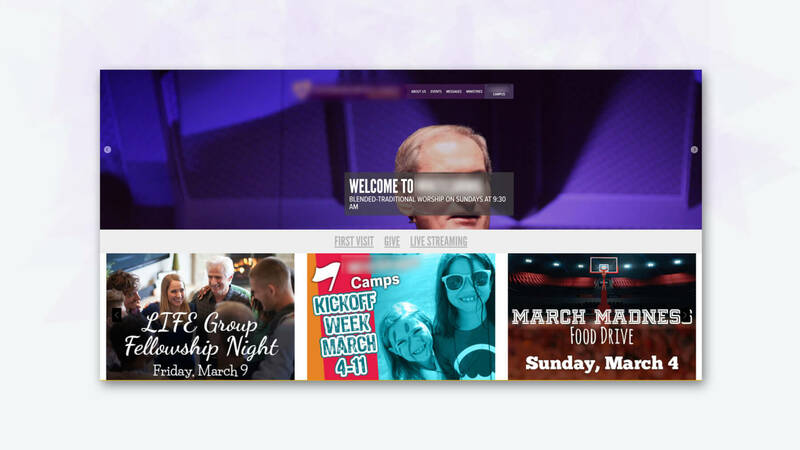 Use this case study as a litmus test for your own church’s website. Do you pass the test? If not, make the necessary changes, and start making a better first impression today! CEO of Pro Church Tools, Inc.
Well hey there! I'm Brady Shearer, the CEO of Pro Church Tools and the creator of Nucleus - a new kind of church website builder. I've been to every MLB ballpark. Sports and sitcoms are the way to my heart. Like this article? Let people know!